HWLH News Letter for June 2018 - Issue #0055 - Can the Lollipop Diet Help You Lose Weight? Hi Everybody and Welcome Back. Hollywood is sure creative when it comes to dieting strategies. There is a long list of celebrity diet trends that can seem a little crazy when it comes to losing weight. Just to name a few, how about the baby food diet, maple syrup and cayenne pepper drink, the no dinner diet, eating 8 eggs a day and eating only purple food are just a few examples of ways Hollywood stars try to lose weight. Seems like the lollipop pop diet is sure picking up momentum. In fact Kim Kardashian just endorsed this diet last month. It’s not like this weight loss trend is totally new, it has been around for a while, it’s just lately, everyone wants to try it because it’s being publicized so much. Successful marketing strategies such as endorsements by well known celebrities is why everyone is talking about it. Another reason why the masses are trying this trend is because it sounds so simple to do and is relatively inexpensive to try. Britney Spears, Paris Hilton, Madonna, Kim Kardashian along with many others are into the trend. This diet will definitely get more popular before it starts to die down. There are 2 main companies that make diet lollipops. There are actually 2 different types of diet suckers to choose from and both claim to help curb your appetite and boost your energy levels to help you lose weight. 1). The Flat Tummy Co. (These are the suckers that Kim Kardashian is endorsing). The weight loss ingredient is satiereal (a saffron extract), an appetite suppressant. Recommended amount – 2 suckers per day with a healthy diet. They are designed to help with mid morning and late afternoon cravings. Each lolly contains 35 calories and come in 4 flavors – yellow apple, grape, berry and watermelon flavors. Each sucker contains 28 calories and comes in 8 flavors - cherry, green apple, mountain berry, pina colada, cinnamon, root beer float, pink lemonade and butter pecan. Recommended amount – 3 suckers per day with the following detailed instructions. Take one Power Pop with an eight ounce glass of water 30 minutes before eating. Have a well-balanced meal that includes fresh fruits. Take one Power Pop with an eight ounce glass of water 30 minutes before eating. Have a well balanced meal that includes protein, vegetables, and complex carbohydrates. Take one Power Pop with an eight ounce glass of water 30 minutes before eating. Have a well balanced meal, including protein and vegetables. Avoid carbohydrates in the evening and do not eat for three hours before you go to sleep. 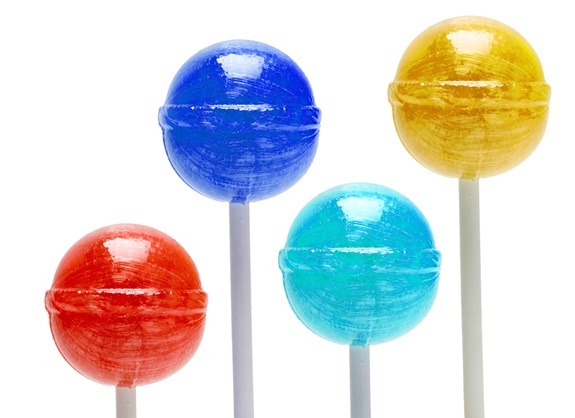 The Question is Does The Lollipop Diet Really Work? Yes, this diet will definitely work if you use the lollipops to control your cravings in conjunction with eating a sensible diet that are made up of healthy meals. That is the only way this diet will work. No, it is unlikely that you will get positive weight loss results just by using the lollipops alone without a healthy diet included. If you think that this diet trend may be right for you then read as much information as you can to select which of the two products may suit you the best.